Spring season has come . Gone are the blustery , bleak and cold and replace with warm and sunny days . This means that it is the right time for gardening or more specific spring gardening but you have not yet started or prepared for it. What should you do and where to start. 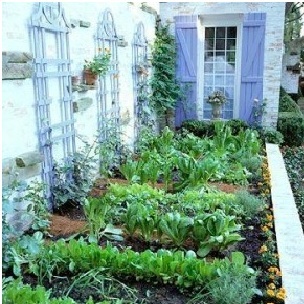 It is a fund and relaxing activities for spring gardening and more so if it is done correctly. I would like to share with you some simple tips so that you can make the most out of it. Go to the garage and look for all the required tools for gardening. Those tools such as shovels, hoes and pruning shears , get it sharpened to a fine edge. As for the lawnmower that is kept in the garage needs to be sharpened , it make take time while you need to start as early as possible. Maybe you want to consider to buy a second, well-sharpened blade lawnmower , at least you has a spare at home. Mower blade must be sharp as dull blades can spoil your grass and allow disease to creep in and thus can cost you in the long run to correct it . Sharp mower blade can make your lawn beautiful. Thinking to put in a new lawn or plant bed ? Make a soil testing first to determine whether the soil is suitable for the growing. Soil testing will tell you what type of fertilizers and soil conditioners are required so that your yard looks beautiful. If you want to make your yard better more into shape, why not try engage landscaping professionals but you must get it early.. If you delay the call , chances are you will be putting on a waiting list. Anything to be done with gardening has to be early. It is the same goes to buying sod if you plan to put in a new lawn. Choose only moist rolls. Anything with dry roots or yellow turf are not good. The early you search for sod, the better quality that you can get. Keep and update any record of what you are doing for your gardening. With this you can know what is the success and what is the failure. Further you can look back at all those small details on your gardening for next year as you cannot remember all the details of it. An important step not to forget is to throw away any outdated chemicals. You can refer to the label attached to the chemical packs. If it is still valid , keep it far from the reach of children and pets. Tiling the soil where you plan to start the gardening. This is important to ensure that there is no ice crystals . The soil must be easily crumble if you hold it in a handfuls. Finally, you must not forget to prune your garden . For some plants , the flowers that will come up next year have set within 10 days of the end of a bloom , thus timing is very important. Well, if you already know what to do and start early you will find that spring gardening is a relaxing and pleasure activity.